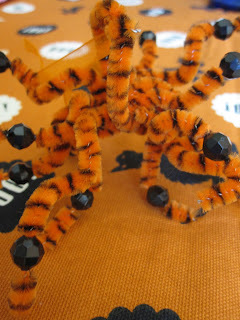 Hairy Scary Spiders using pipe cleaners and bead. Parker loves these. He has been chasing everyone around with them!